Last weekend I attended the KAAN 2013 Conference in Grand Rapids, Michigan. It was a somewhat spontaneous decision, meaning that I did not submit a proposal months ago when the call came out, and that spending the money to attend in a year when I have many other conferences to attend seemed out of the question. Another reason why I had no intention of attending is that many years ago I did attend some KAAN Conferences and I left both (2002 and 2004) with the impression that it definitely did not meet my own personal needs as an adult Korean adoptee. 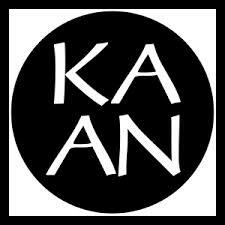 But several things have happened over the almost decade span of time since I last attended KAAN. One important change involved the addition of some Korean adoptees I really respect and care about in leadership positions within the organization. Another was the general progressive shift in the purpose and “feel” of the conference mission. What seemed to me an over-reliance on the “feel-good/let’s not talk about anything difficult” goal of connecting Korean adoptive parents with other Korean adoptive parents, and Korean adopted children with other Korean adopted children and a “celebrate Korean heritage!” mentality in the organization has changed over time to an acknowledgement of race and white privilege in transracial adoption, and the importance of the full, lived experience of adopted individuals. Whereas before it seemed the goal was to show non-adopted Korean role models, a recognition of adopted Korean adult role models seemed to be evident. Also an earlier sense of only showing “positive” adult adoptee perspectives (i.e. those who were uncritical of Korean adoption) has been replaced by an acknowlegement that adoption is not always sunshine and rainbows, and that positioning adoptees as pro or anti adoption is unproductive and polarizing. I was told by several people that the current leadership was amazing to work with and really believed in the importance of adult adoptee leadership (and they were right!). And then the most compelling reason of all – the chance to see some dear transracial adoptee friends who live scattered around the U.S. See, for many of us, it is these interactions with those whom we’ve cultivated deep friendships over time at adoption-related conferences that help us endure the long droughts of transracial adoption isolation and segregation we experience in our daily lives. In particular, it was the opportunity to attend panels led by adoptees and to have discussions at dinner or over drinks and stay up until the wee hours of the night critically deconstructing, sharing experiences, strategizing ways of coping and supporting and validating each other that compelled me to cold-call the organizers at KAAN and ask if I could still get involved. This year KAAN did something I wouldn’t have seen a decade ago – they invited transracial adoptee speakers who are not Korean adoptees. And they (parents, adoptees) talked about commonalities among transracial and international adoptees, and about racism and white privilege. This is a welcomed change for me. In my own personal and professional work I have been spending less time with Korean adoptees and more time developing relationships among other adoptees. This is a reflection of my own growth, because I see my own adoption story and narrative as interconnected to other adoptees. One of the greatest benefits of being privileged to attend graduate school has been the opportunity to really deepen my understanding and knowledge of the historical roots of child placement and adoption and look at the arc over time for how children have been conceptualized and how adoptions have changed and morphed in terms of practice and law (but ultimately with the same underlying theoretical basis, at least in the U.S.). When I learned about the orphan trains, about the Native American boarding schools, the Indian Adoption Project, when I read Regina Kunzel and Dorothy Roberts and Rickie Solinger – I realized how interconnected Korean adoption is with Native American Indian adoption and transracial adoption of African American children, and the immigrant Catholic children who were adopted to Scandinavian protestant farm families in the midwest through the orphan train movement, and the children adopted from Ethiopia and Haiti. Displacement, isolation, racism, cultural erasure, unaddressed grief and loss, these are all commonalities we adoptees have. We transracial adoptees also have many commonalities among “baby scoop” era white domestic adoptees from the maternity home generation. In his keynote at KAAN, Dr. John Raible emphasized this point, our commonalities across race and situation, with a lot of passion and intensity. I’m sure there were some, adoptees and adoptive parents alike, who were taken aback at his bold challenges but I was heartened that John challenged the old paradigms about transracial adoption. John is not just about helping how we conceptualize transracial adoption evolve over time, his ideas are revolutionary. Sometimes it seems that when it comes to adoption and child welfare, the pendulum swings back and forth from an emphasis on removal and placement to family presevation. At least in the U.S. that is what many child welfare professionals have said. But as I was recently reminded, it is perhaps not so much of a pendulum swing but a spiral – what seems to be a circular movement away from, then back to, a certain paradigm. But even when it seems like things are coming back to where we started, maybe in truth it has changed in fundamental ways so that even what looks like a circle from looking at it top-down is actually many degrees separated when looked at from the side view. Yesterday, a project I am involved with, Gazillion Voices, launched its monthly online magazine. This is also revolutionary in that Gazillion Voices is the first ever adoptee-led publication. Unlike every other publications on adoption, this one does not relegate adoptees to the sidelines, in an “Ask the Adoptee” advice column or limited to one or two stories by an adoptee author. Gazillion Voices is challenging, provocative, and most importantly – led by adult adoptees and includes majority adult adoptee voices. Kevin Vollmers, one of the editors of Gazillion Voices magazine, and I were debriefing the KAAN conference as we waited for our flight to take off back to Minnesota. We both agreed that it feels we are on the precipice of some incredibly big paradigm shift when it comes to adoption. I’ve been feeling it for about a year now, ever since the CCAI and the State Department (including Ambassador Jacobs) met with a grassroots group of us adult adoptees to hear our collective concerns for the first time last July. I am so proud to be part of a community of revolutionary adoptees. With social media platforms, it appears like this adoption revolution is new and those of us with blogs and websites can appear to be doing new and groundbreaking work. But we recognize we are not the first. We are incredibly grateful and humbled by the incredible work of so many adoptees who have been doing this work for decades, without much acknowlegement and very little fanfare. In fact, many adoptees have taken the hits for years on our behalf. Adoptees have been working in policy, advocacy, community organizing, research, academia, and very importantly through art for decades. We in this current generation of adoptee rebels are not taking their hard work for granted; no, we are trying to continue the work and will pay it forward – so that the next generation of transracial adoptee leaders can take it to the finish line. Absolutely agree, it does appear that change is happening. Here is Australia we have had Federal and State Apologies for the harm and inhumanity of adoption. I’ve just watched a doco on iview on ‘Operation Babylift’ in which the focus was on adoptees, their feelings and views.We have a series happening in which an adoptee is a central character. Adoption is a live issue now and on the whole presented well with sensitivity and an understanding of what it is really about for adoptees.We even have a comdienne who as an adoptee jokes about adoption, as I see it, the next phase for stigmatised minority groups such as ours!Playing it forward involves so many areas of life for all adoptees. I am really glad to see it’s happening on a global scale. Thanks for sharing the perspective of what’s happening on the ground in Australia!